The mission of the Pre-PDL Academy is to provide players with the opportunity to flourish in a competitive environment in which skill development is the key determinant of success. At the Academy, quality and long-term benefits are more important than short-term gain. The Pre-PDL Academy is designed for the passionate, excited 2011 (U8 and some U7) player who desires to be challenged in every aspect of their game. The Academy will offer a continued introduction to passing, receiving, ball striking, ball control, and dribbling; as well as a continued effort to expand each player's coordination, balance and body movements as well as confidence. The coaching staff has combined their experience and knowledge to create a curriculum which will both challenge and excite each Academy participant. :: Fridays, April 5 - May 17 at Warren Park. What: The Outreach Program for Soccer is a community-based recreational program specifically designed to help athletes with physical, cognitive, and developmental disabilities participate in the world’s most popular sport. TOPSoccer brings soccer to players who refuse to let their challenges stop them from playing the sport that they love. The emphasis of this program is on development, training and providing meaningful participation rather than on competition. The basis of TOPSoccer is a modified version of the game of soccer, specifically altered to allow full participation and enjoyment for each athlete. TOPSoccer provides affordable opportunities for fitness and building self-esteem. Above all, TOPSoccer offers a recreational and fun approach to the game of soccer. When: Sessions will begin on April 3 and continues every Thursday until May 8 for six consecutive weeks. The sessions will run 4-5:30 p.m.. Cost: The registration fee is $65 for six weeks. Each athlete will also receive a jersey. Cost: The registration fee is $25 for five weeks plus an end of season game! Each athlete will receive a jersey. 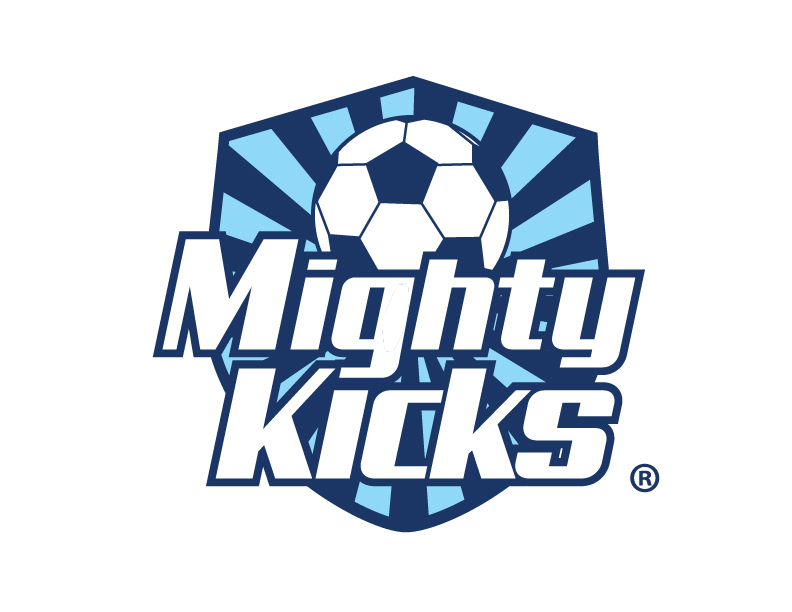 Arsenal Colorado is excited to partner with Mighty Kicks this season to provide an exciting and fun environment for your 3-4 year old. The program utilizes the Mighty Kicks age-appropriate curriculum to build basic soccer skills, motor skills, and self-confidence. The team atmosphere will build socialization and life skills at an important developmental age. Each team will have a trained and experienced coach to provide a safe and fun learning opportunity. Each session will consist of 30-40 minutes of instruction using the Mighty Kicks curriculum followed by a game. The player to coach ratio will be 6:1. The purpose of Kickstart 5 is to explore the physical, mental and emotional needs and capabilities of our U5 players, and to HAVE FUN! Each session will include fun movement and coordination exercises as well as numerous exciting activities with the ball. Coaches for this academy include staff coaches, along with some of our older competitive players who will act as mentors to our young generation of soccer players! Our philosophy is to create a positive club culture for every player in our club and provide a sense of community. Kickstart 5 is a 3-session clinic that is FREE to all U5 Arsenal Colorado registered players. No RSVP required, just show up! This academy-style program will allow our staff coaches to guide recreational coaches through training sessions with their own recreational teams. Individual technical development is the priority of each session. Staff will demonstrate how to emphasize individual improvement while still participating in their team training session.Each of the 3 one-hour sessions will concentrate on a specific topic that correlates with this age's curriculum and will be structured in a way that head coaches will run the session while staff coaches will assist and control the progression. This allows our staff to provide coaching education while encouraging player development. Focusing on signular progress within a team atmosphere which is structured in a way where the team will be trained together, along with their coach, is the next step in what staff is trying to implement at our grassroots level. Our viewpoint in mimicking our older age group seassions with our youngest teams is to provide a sese of continuity throughout the club. Academy stytle sesssions allow for staff to influence complete teams, and age groups as a while while providing a club culture and sense of community for our grassroots members. Having the coach involved is imperative. It allows for staff to provide coaching education right along with player development. Players who are interested in participating but whose team is not, will be added as an individual to an existing team for the academy. Coaches who are not available to be at the sessions can still send thier team and we will provide a staff trainer to coach the session. RSVP is required to attend these sessions! RSVP to Jayme Beamer at beamer@soccerfortcollins.org. and state if you are a coach RSVP-ing for your ENTIRE team and if you will be there or not. OR parents- you can RSVP and state that you are sending an individual player without a team. Please bring a ball, a water bottle and wear appropriate soccer attire. PLACE: Warren Park - Field is located at the corner of Lemary Ave and Horsetooth Rd.